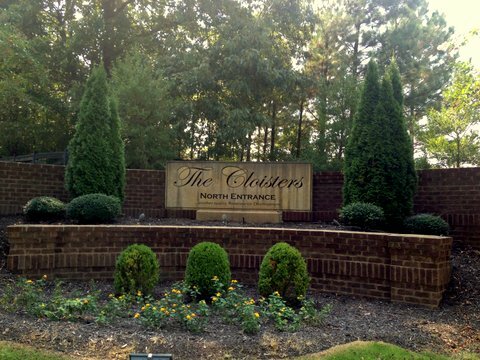 The Cloisters is a true master-planned neighborhood of one to five acre lots designed around the natural landscape of the land. 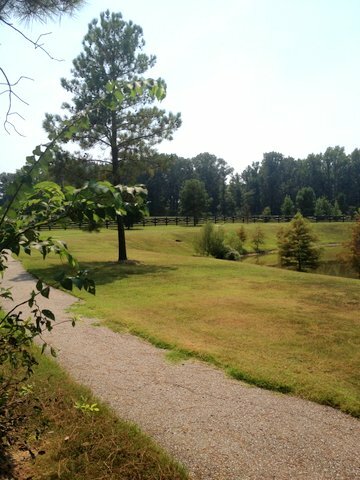 In conjunction with the abundance of virgin timber, The Cloisters features passive parks with nature trails and breathtaking lakes providing residents the opportunity to own their own piece of carefully preserved nature. Renaissance Development Company and Renaissance Realty was very proud to host the 2006 Vesta Home Show in The Cloisters. 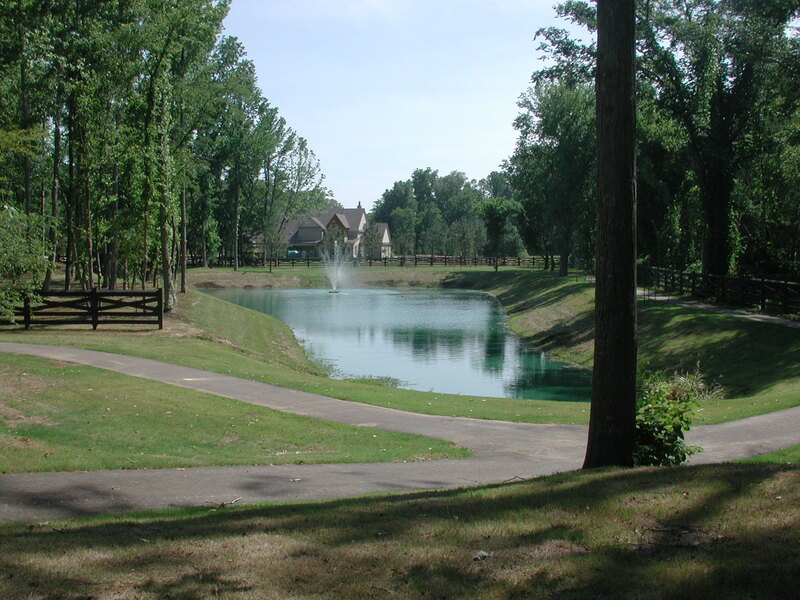 The show consisted of nine uniquely designed show quality homes built by the best custom home builders within the area. 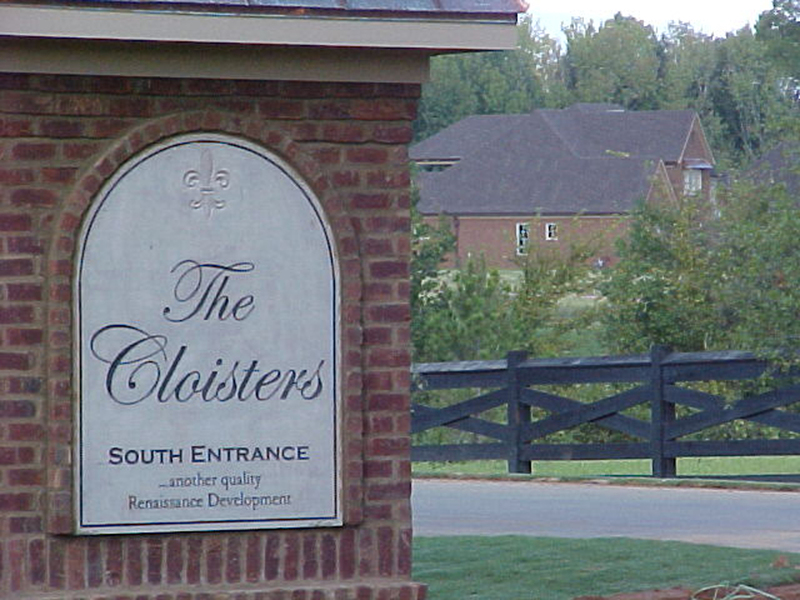 Homes built within The Cloisters emphasize the unique qualities of their owners – Homes range in size from 3,000 s.f. to 13,000 s.f. The 2017 HOA dues for The Cloisters were $610 for the year. The minimum heated and cooled square footage of a home in The Cloisters Phases I, II and III must be 3,200 for a one story and 3,800 square feet for a one and half or two story home with a minimum of 2,200 square feet on the ground floor. 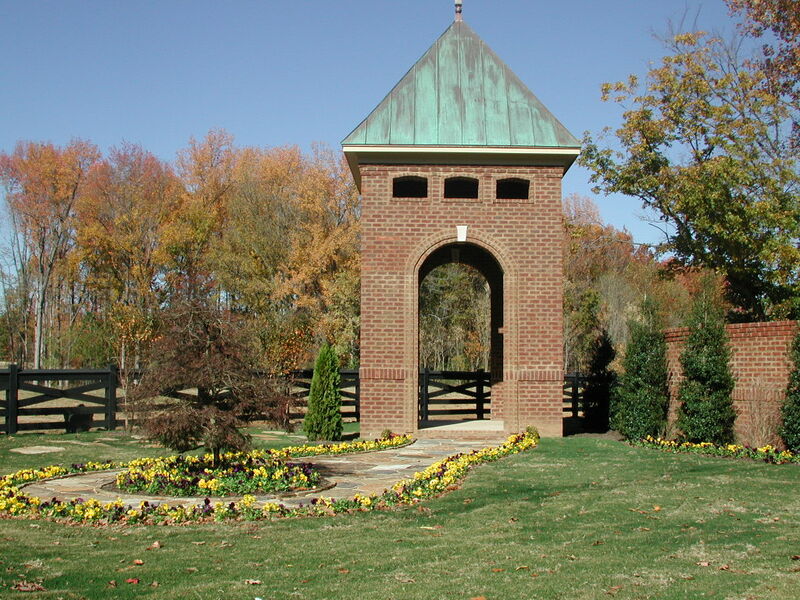 All home plans must be submitted to and approved by The Cloisters Architectural Control Committee. All exterior home materials must also be approved. 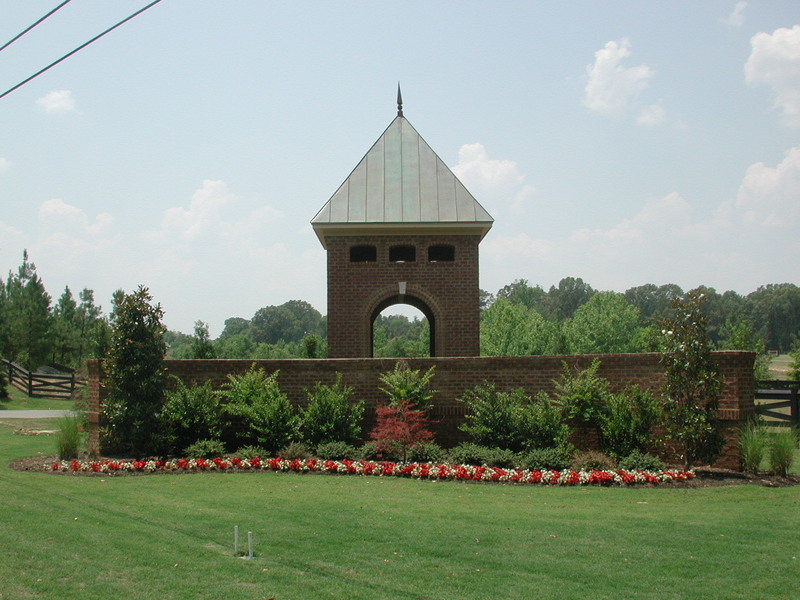 The Cloisters has additional design guidelines that can be provided upon request. The Cloisters is not serviced by a public water supply. Therefore, you residence will be serviced with a well. The average cost of a well generally ranges from $4500 to $6500. This number depends upon how deep the well has to be dug. A well that is dug at 300 ft will cost less than a well that has to be dug at 600 ft. This number will also fluctuate depending on which well company you choose. We typically advise our customers to check with a few different companies before contracting with a well company. 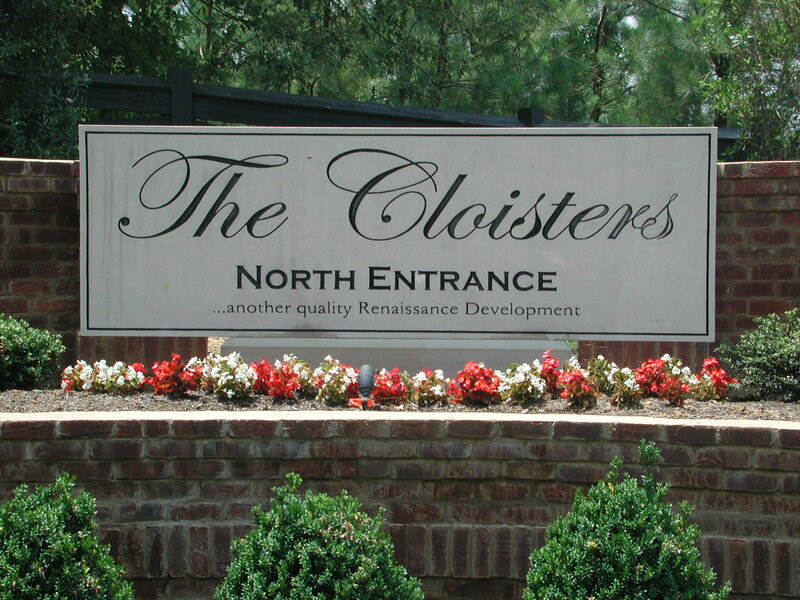 The Cloisters is not serviced by an overall public sewer system. 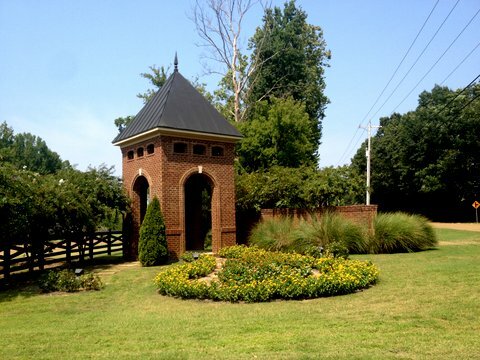 All lots in The Cloisters have been “pre-approved” for a private septic system. The location and design must be coordinated with the Tennessee Dept. of Environment and Conservation, Division of Groundwater Protection. Your builder will be able to handle this process for you. Assuming your lot has average soil types (i.e. 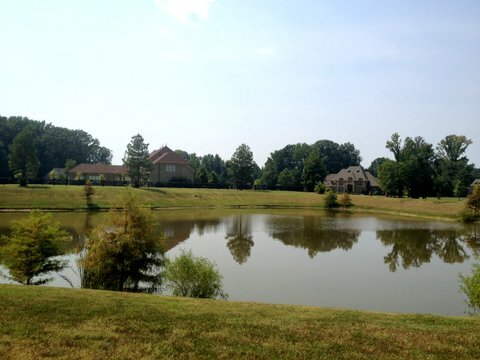 Memphis, Collins or Lexington), 4 bedroom conventional septic system with no curtain drain will average $3500 to $5500. If a curtain drain is needed, the cost will increase around $1000. If your lot has a poor soil type, the cost will increase as more field lines will be needed. A 3 bedroom house should cost less as well as a 5 bedroom house will cost more. This number will also fluctuate depending on which septic installer you choose. 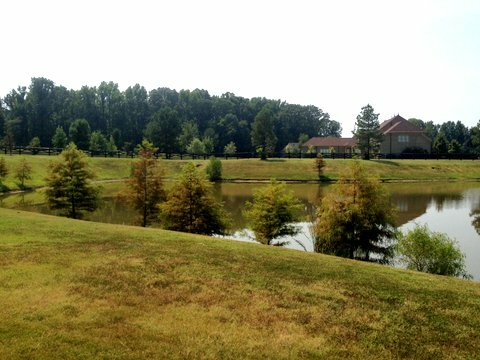 We typically advise our customers to check with a few different installers before contracting with a septic company.